Pieh Tool Company is built on a family legacy serving the blacksmithing, coppersmithing, metalworking, knifemaking, gunsmithing, jeweler and horseshoeing trades with a variety of supplies and artist blacksmithing classes. 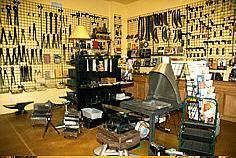 Founded in 2002, Pieh Tool Company is located in Arizona's pristine Yavapai County, just minutes from captivating Sedona. It is a country rich with metal smiths, sculptors and horse enthusiasts. 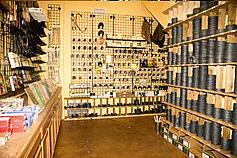 Our impressive retail showroom stocks over 3500 blacksmithing and shoeing items including power hammers, fly presses, grinders and sanders, anvils, gas and coal forges, tongs, cross pein hammers, flatters, fullers, swage blocks, punches, chisels, raising hammers, abrasives, hoof stands, horseshoes, horseshoe nails, hoof nippers, clinchers, driving hammers, aprons, hoofcare products, feed supplements, educational videos and over 600 hundred book titles. “The Pieh Legacy Collection™"of tools honors Amy Pieh's late parents, formerly of Centaur Forge, and our commitment to quality supplies. “The Billy™” tongs and the “The Bonnie™” knives are an example of her pledge to quality. Complimentary semi-annual blacksmith and horseshoeing clinics offer you an opportunity to learn from the masters in your craft. Be sure to visit the Calendar in Links and Resources for our schedule of events and past events.